Hi Everyone! 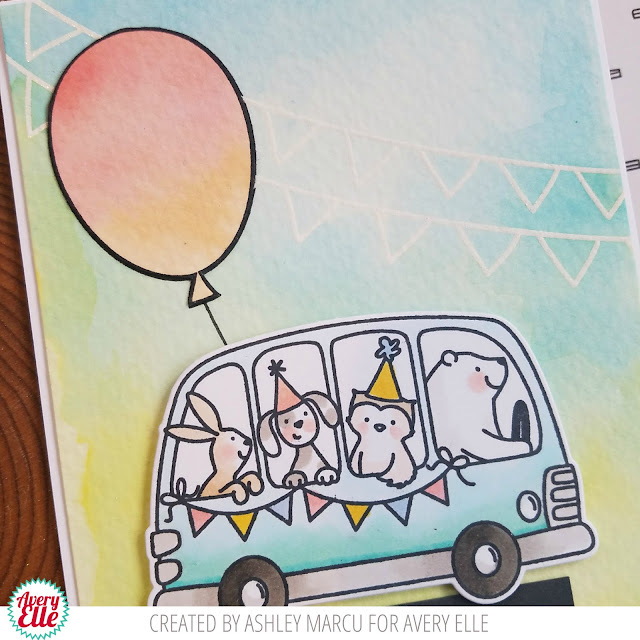 Ashley here today sharing the super fun and versatile Balloons & Banners! I started my card by heat embossing the double banner from Balloons & Banners on watercolor paper. Next, I water colored the background with Distress Inks. After my background was complete I watered colored another panel and stamped the balloon after it dried. I finished my card with Birthday Bus (one of my ALL time favorites!) and an embossed sentiment from Balloons & Banners. 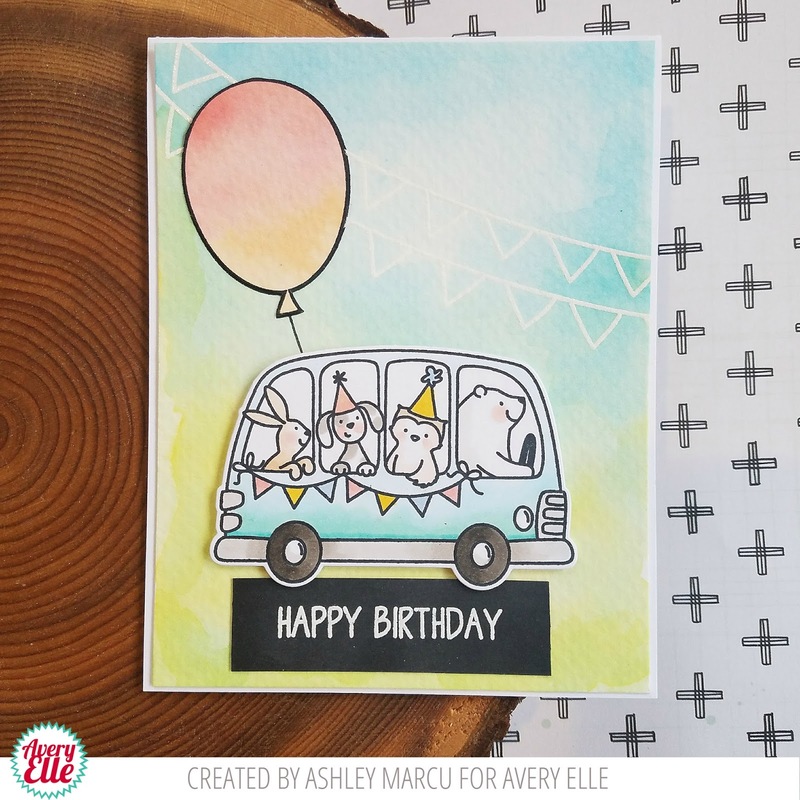 This card was so fun to create! Thanks for stopping by!